There are a number of factors which determine storm windows prices such as the size and type of the window, the manufacturer and the installation process. 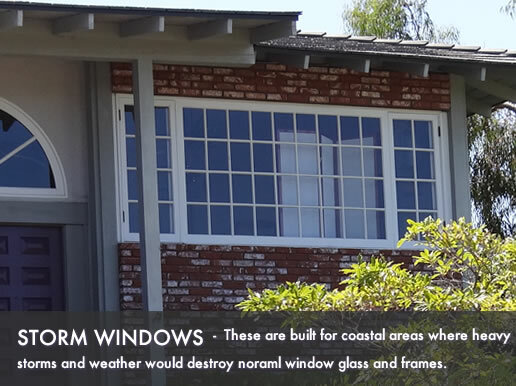 These windows benefit homes in areas that experience heavy storms and severe weather patterns. Entry level windows are usually made from vinyl and come with a restricted number of options and color choices. The frame is usually strong, but a little boxy and they will have double panes of glass. The disadvantage is that they are basic windows and will not come with all the added options you would get with the higher end choices available. Standard storm windows come in a choice of frames from composite or cellular PVC to a higher end vinyl. The glass package is usually a low-E glass that has a double pane with an argon fill. The higher end storm windows normally have a choice of frames which include fiberglass, cellular PVC or composite, which have a selection of tint and color options. The glass package will be a low-E glass that can be a double or triple pane, they will have foam insulation and either a argon or krypton fill. You can pay anywhere from $75 to $200 for the installation of your new storm windows. They are easy to install, the installation must be done correctly to ensure they can withstand the severe weather conditions. Entry level window prices start at $300 and top out at $500 for each installed window. Mid-range windows prices start at $500 and top out at $850 for each installed window. Higher end windows prices start at $850 and top out at $1400 for each installed window.